Welcome to our web site! We provide customised software development services and off-the-shelf solutions for Windows and cloud-based web applications. Our software and services are offered at reasonable prices and are backed by fast and knowledgeable technical support and customer service. These are software that run within the Windows operating system in a desktop and laptop computer. The software may be used in a stand-alone environment by a single person or may be installed in a computer designated as a server with other computers connected to it in a networked environment. The whole setup is self-contained and is typically placed at a single location. Access to the software's data from other locations via the Internet is not usually possible but we can create special software where this is can happen. 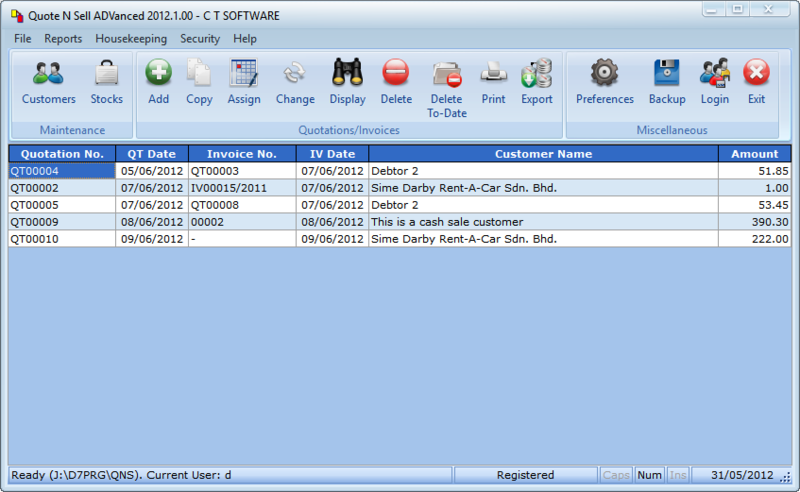 We have a range of ready-made Windows software, called CARAT, which you can license for a reasonable fee. These are software that reside in a location away from your office and can be accessed using a web browser from a desktop computer, laptop, tablet or smartphone. They are typically referred to as cloud-based, web-based or online software. We are pleased to announce that Flagship Client Account Manager (CLAM) 2019.2.00 has been released. The page for CLAM's usage procedures has also been updated. You can read it here. We are pleased to announce the immediate availability of Flagship Client Account Manager (CLAM), our in-house web application for clients to manage their accounts and download program updates for CARAT. If you are a client, you can log in by clicking the Login menu option above and entering your login credentials provided via a direct email. You can read about how to use CLAM here. For those of you who are not comfortable with mandatory payments for subscriptions to use our Windows software, we are bringing back the licensing model for our off-the-shelf Windows software. You now have the choice on whether to go for subscriptions or licensing. If you are interested in any of these software, please contact us. We are pleased to announce that with immediate effect, we now offer JomPAY as a payment option! You may now use this safe and secure payment facility from up to 40 banks via your current, savings and credit card accounts. Most banks with ATMs even allow you to pay bills from there. Our biller code is 80358. For more information on how to make payments, click here. We are celebrating our 32nd anniversary on 17th October 2018. In conjunction with this special day, you will receive a 30% discount off all software subscriptions and development/customisation services until the end of October 2018. Come and get your share of the discounts and don't miss out! 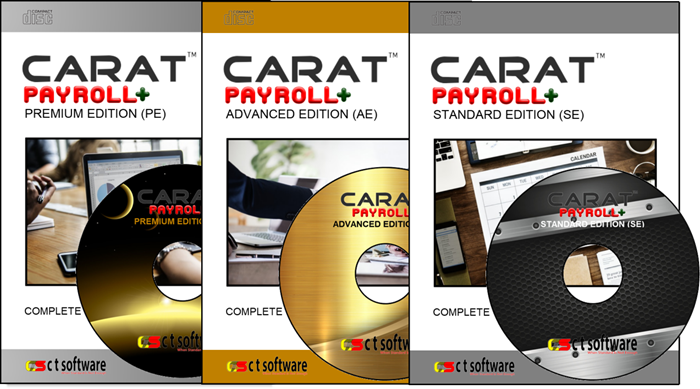 We are pleased to announce that our entire range of ready-made CARAT software is now available as a Software-As-A-Service (SaaS) instead of the previous model of the licence amount being paid at the beginning and followed by an annual maintenance contract. With SaaS, CARAT software is now offered for use in return for a subscription amount that includes the software licence and support packaged together. You may choose to subscribe on a monthly or yearly basis. If you choose the latter, you pay for 10 months instead of 12. Because the data and programs are centralised in a single location, you can access them from any location in the world with an Internet connection. Web applications are useful for companies who need multi-location access to their data, share data between branches, save on hardware costs and maintenance and save on labour cost to manage software upgrades and updates. We have ready-made web applications available for licensing as well as offer customised development services. 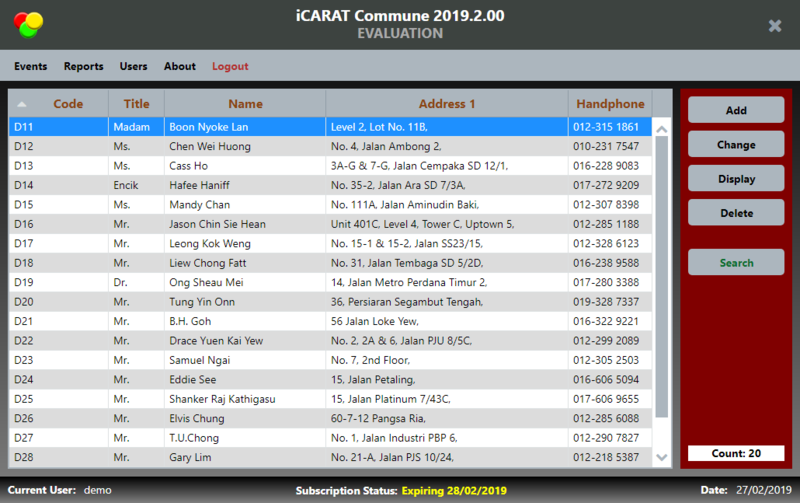 Our brand name for our web applications is iCARAT.